One of the hippest jazz pairings on the LA scene in the early 60s -- presented here in a 2CD set with nearly 4 albums' worth of material! 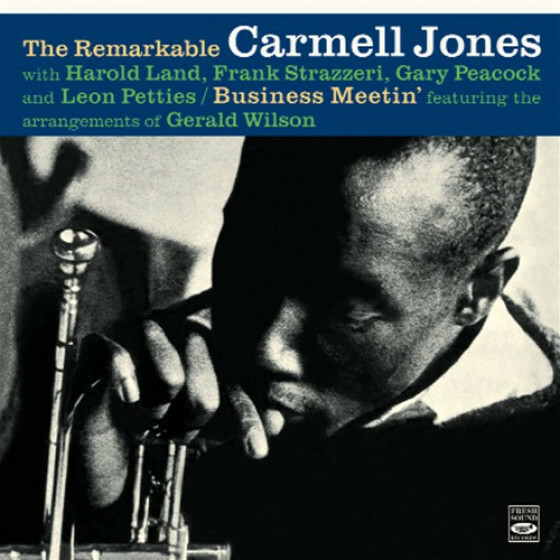 First up is the well-titled Remarkable Carmell Jones -- one of the few sessions cut as a leader by trumpeter Carmell Jones -- a wonderfully talented player from LA, who was one of the leading lights in that city's hardbop scene during the early 60s! 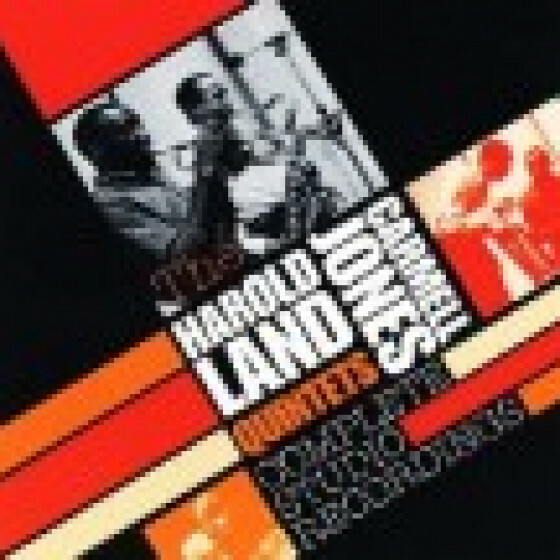 The set grooves like the best Blue Note sessions of the time -- Jones leading a combo that features Harold Land on tenor, Frank Strazzeri on piano, Gary Peacock on bass, and Leon Pettis on drums -- all working with a careful blend of soul jazz and modern influences, on a wonderful batch of well-written tunes. Titles include "I'm Gonna Go Fishing", "Night Tide", "Sad March", and "Stellisa". Next is the album Hear Ye, recorded for Atlantic in 1962, under the leadership of Land and Red Mitchell -- a nice set from the LA hard bop/soul jazz underground -- and it features great solo work by Land, Frank Strazzeri, and the underrecorded trumpet genius Carmell Jones! The album's got a lot more to offer than meets the eye -- and is filled with lively lyrical original compositions like "Comara", "Pari Passu", "Catacomb", and "Triplin Awhile". The whole thing's a great bridge between Land's earlier sessions under his own name, and his later, similar partnership with Bobby Hutcherson. 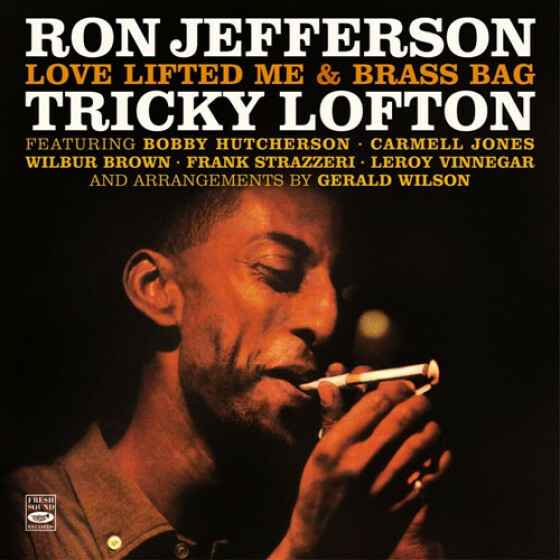 Next up are 4 titles from the album Business Meetin -- the tracks on that set that only feature a small group with Jones and Land in the company of Frank Strazzeri on piano, Gary Peacock on bass, and Donald Dean on drums -- on tracks that include "That's Good", "Suearl", "Hip Trolley", and "Beautiful Love". Last up is the album Jazz Impressions Of Folk Music, originally issued under Land's name for Imperial Records -- and part of a short-lived early 60s attempt to make jazz cash in on the folk boom. Despite what might seem like a cheap gimmick, the set actually sounds great -- grooving with a soulful swing, in that LA underground mode that always made for Land's best recordings. 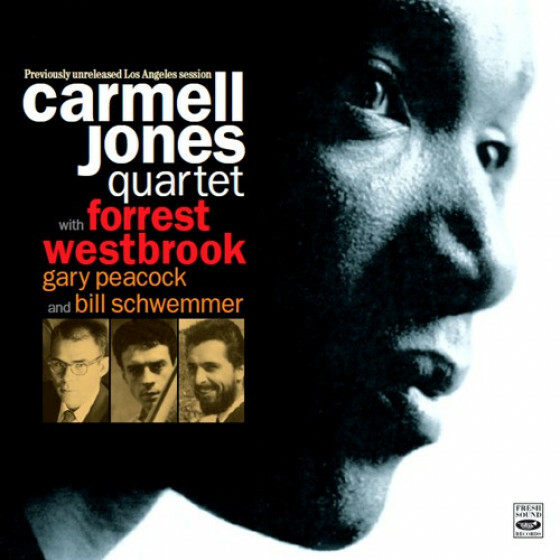 The group includes the great Carmell Jones on trumpet, plus Jimmy Bond bass, John Houston piano, and Mel Lee on drums.